Man impregnates housemaid, strangles pregnant wife – Royal Times of Nigeria. 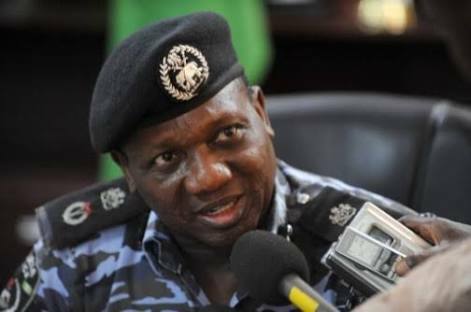 The Plateau Police Command on Thursday confirmed the arrest of a 40-year-old man, Victor Dashit, who allegedly strangled his eight months pregnant wife, Irene. “Victor is in our custody and investigation is on-going. We shall soon take him to court,” its spokesman, Terna Tyopev, told the News Agency of Nigeria (NAN) in Jos. He said that Dashit, a staff of the National Industrial Court, Jos who resides at New Abuja area of Jos, killed the wife, a 33-year-old teacher, at their farm in Kangang, on June 2. NAN investigation revealed that Dashit, after killing the woman, invited his brother to help him to convey her to hospital after lying that she slumped few minutes after she complained of feeling dizzy. A family source said that prior to the incident, the couple had faced lots of problems leading to persistent domestic violence. He said that the situation got worse in May 2016, when the deceased caught her husband in bed with their house help, one Nora, in their home. “The woman woke up one night sometime in May 2016 and did not see her husband on the bed. “ After combing the entire house, she peeped into the house help’s room and found her husband on her,” the source said. He said that Irene sent the girl out of the house, but the girl came back two months later and told the husband that she was pregnant. “Nora’s pregnancy aggravated the problems in their marriage; at a point, Irene fled to her parents’ house in Gindiri, but was persuaded to return to her husband’s house by their Pastor. “The Pastor persuaded her to return in November 2016, after intervening in the quarrel. She became pregnant immediately. She said that Irene had two daughters, while the baby, a male, removed from her womb after she died, did not survive. A source at the Air Force Military Hospital, Jos where Irene’s corpse was taken, said that the Dashit who brought the wife on June 2, had claimed that she slumped and died after complaining of dizziness. “The doctors confirmed her dead on arrival, but rushed her to the theatre for an emergency CS in a bid to save her unborn baby but brought out a dead child,” the source said. Further investigation by the medics, however revealed marks on her neck, which suggested that she was strangled. “The doctors quickly reported the matter at the Anglo Jos police station where Dashit owned up to strangling his wife,” he said. Tyopev, while describing the incident as “unfortunate”, blamed the development on alleged infidelity, saying that Dashit had equally confessed to impregnating his housemaid. “He confessed to holding the woman by the neck, but said he did not intend to kill her,” he said.